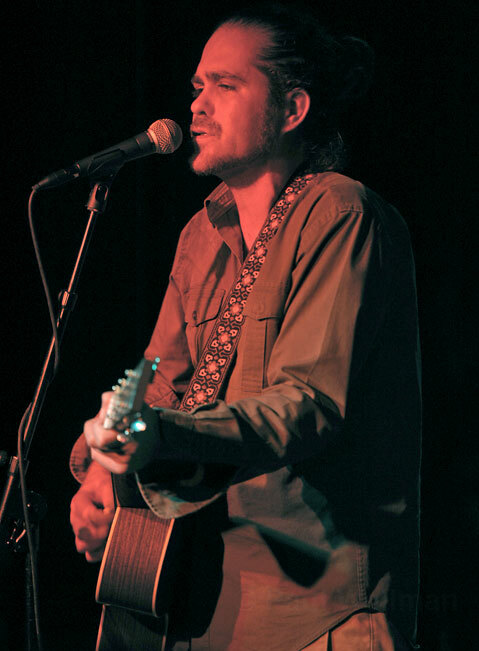 There is no doubt that Clarence Greenwood (AKA Citizen Cope) is one heck of an individual dude; just take a peek at his feud-riddled history with record companies, or give a listen to any one of his genre-bending albums. However, last Thursday night to a sold-out audience at SOhO, Cope took the individual thing to a new level by delivering back-to-back-to-back 45-minute sets of stripped-down, moody music; just him, a microphone, and his guitar. And while the bus certainly arrived where it was no doubt meant to go — hello, intimate-ville — something funny happened along the way. This maestro of individuality started to sound awfully redundant, mundane, and predictable. Don’t get me wrong: Cope has long been a regular play on my radio; his album The Clarence Greenwood Recordings was literally the soundtrack to my wooing of my wife, but his unique brand of fine song craftsmanship — one that regularly throws hip-hop, folk, blues, and soul-stirring, bass-heavy beats in the blender — loses something in the acoustic translation. Hits like “Bullet and a Target,” “Son’s Gonna Rise,” and “D’Artagnan’s Theme,” though good by the measure of most artists, rang a bit hollow without the drive of a true drum beat. And while the crowd (which, it should be noted, was a particularly beautiful one with more people coupled up than not) was not too perturbed by the show, it wasn’t until the final song of the night, “Let the Drummer Kick,” which featured a sly pedal stomp and the corresponding boom of an actual drum beat, that anyone actually felt moved to dance beyond head nods and mild hip sways.